We compiled this list of Top 5 Software Features for Government Accounting to help you determine what is most important for your agency. Fund accounting is a method of accounting that allows you to keep the programs within your organization separated by fund numbers. Each fund, labeled as restricted, temporarily restricted, or unrestricted, contains its own chart of accounts. The biggest difference between fund accounting and regular accounting is fund accounting emphasizes accountability rather than profitability. Let’s dig a little more into how fund accounting works. When a grant or award is given to an organization, it’s either applied to an existing fund or a new fund is created for the specific purpose of the grant. At any point, you can view a revenue and expense report to see where the money is and where it went. Each fund is unique and funds can be labeled within the organization in a variety of ways. Denali FUND allows you to customize how your organization’s chart of accounts is structured based upon your needs. Denali FUND allows you to define your funds as restricted or unrestricted when you set them up. Restricted funds can only be used for a specified purpose. Unrestricted funds can be used for any purpose at the discretion of the organization. Remember, fund accounting is about accountability and making sure the board of directors knows what is happening to the money coming in and going out of the organization. Sometimes you need to set aside, or encumber, money for a future expense. The ability to include encumbrances in your budgeting and accounting is a key feature to look for in fund accounting software. For example, when you create a purchase order in Denali FUND, you can encumber those funds to ensure they are set aside for that purchase order. This way you know the funds will be available when you need to pay for the purchase order. The main benefit of encumbering is to avoid budget overspending. Reporting is a common feature in accounting software, but many times a government organization has more extensive or specific reporting requirements. Denali FUND gives you built-in standard reports and the option to customize any report to your exact needs. Within Denali FUND, the ability to customize all reports is available at your fingertips. Each report gives you a variety of options to sort and filter your data to your exact specifications. We also offer a service to create new reports tailored just for your organization. A secure audit trail is important in every organization to prevent fraud and embezzlement. It keeps thieves from editing or deleting transactions to hide illegal activity. Securing your organization’s information doesn’t only mean protecting it from outside sources, many times the fraud can occur within the organization. This is where having a secure audit trail is instrumental. An audit trail is a record of all the transactions related to running your organization. In Denali FUND you can pull an audit trail report to view all the activity occurring within the organization and sort it by each fund. Government accounting requires multiple entries and transactions, meaning a secure audit trail is non-negotiable. Denali FUND delivers on this by showing every transaction that occurs in your accounting process, including reversals and corrections. If there is a data entry mistake, Denali FUND forces you to correct that mistake through a separate transaction. 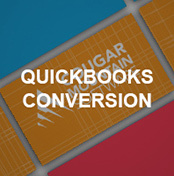 This ensures your accounting meets GAAP standards. Many organizations often have a duty of transparency and Denali’s secure audit trail provides you with the most transparent solution your organization can offer. Denali prevents employees from taking advantage of a system that can simply be “edited.” It accounts for every entry, every edit, and every deletion. In addition to Denali FUND’s unbreakable audit trail, you can assign specific rights to each user. When you add a user into the system, you can give them access to the whole program, certain modules, certain menus within each module, or even certain windows within each menu. This ensures that all your users only have access to the areas of the program you want to allow. Kim Thompson has been a user of Denali FUND for the Township of Lawrence for nearly 20 years; see how Denali has helped her township’s accounting. 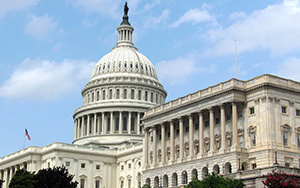 Want to know about Denali FUND’s other features that can help your government agency? Contact one of our knowledgeable account executives for more information!